Everybody Wins! Iowa is a reading & mentoring nonprofit dedicated to increasing children’s success in school & life through one-on-one reading & mentoring experiences with caring volunteers. Our program is Power Read, which matches students with a volunteer reading mentor to meet together once a week at the same time & place to read aloud & foster excitement about reading. Power Read operates at schools and community organizations during breakfast, lunch, after school, in the evening or Saturday morning each week during the school year (six-weeks during summer). Students are selected for the program based on three areas: not proficient in reading, English language learner, or the student could benefit from the one-to-one consistent mentor experience. These consistent, positive mentoring interactions provide students with a dependable role model who works to strengthen their confidence with regard to reading. The program started in 2002 serving 15 students & has grown to serving 896 students in FY2018. A complementary component of our mission is encouraging volunteerism and community engagement. Reader mentors volunteer to read with the children as a way to give back to and improve their community through outreach efforts. We offer a way for people to get directly involved and help a student in need, in a highly structured and protective setting that is both nurturing and educational and which provides an opportunity to affect real and substantial change over an extended period of time. Within Iowa, 1 in 4 students are not reading proficiently by the end of 3rd grade. With nearly seven percent of Iowa's population over the age of 16 lacking basic literacy skills (National Assessment of Adult Literacy), we know it is crucial for our program to be provided to students across central Iowa. There are currently 1,700 students in Central Iowa that are not reading at grade level and we seek funding to expand our program to students across Central Iowa. Periodically, we hold special events to help raise awareness of Everybody Wins! 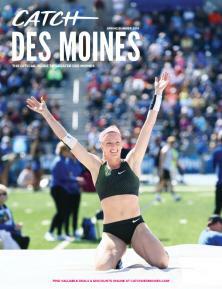 Iowa as well as help raise funds to for the program. For the past three years, we have hosted a Trivia event with questions focused on children’s literature. 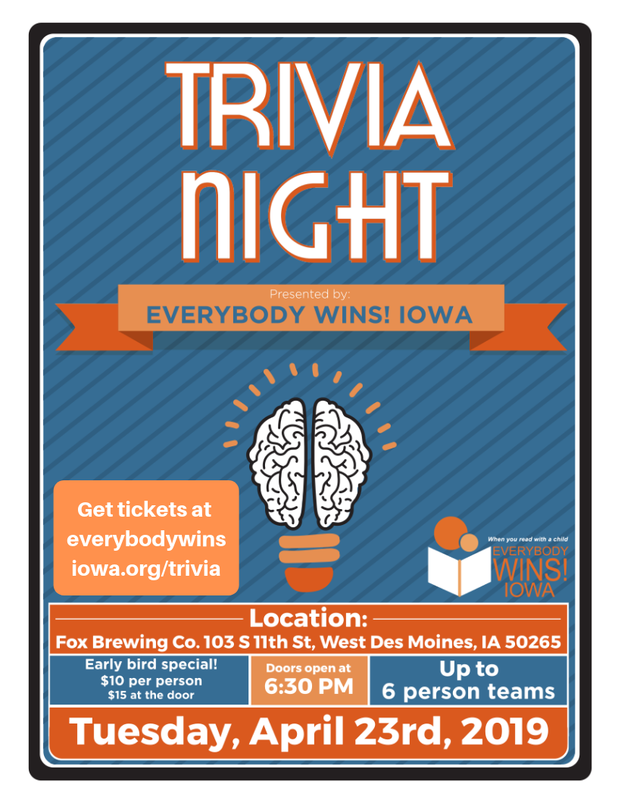 We currently have our Trivia event scheduled for April 23 at Fox Brewery in West Des Moines from 6:30-9pm. 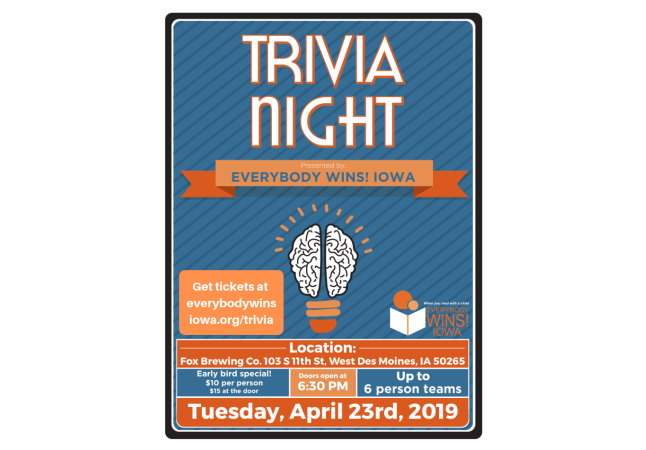 We have a volunteer Special Events committee chaired by our Volunteer Manager consisting of our board members, mentors, community volunteers, and Do More Iowa members. Everybody Wins! Iowa --students win by enjoying consistent and positive interactions with caring adults; volunteers win by enjoying meaningful and worthwhile experiences and the satisfaction of knowing they are making a positive impact on the future of a young child. Everybody Wins When You Read With A Child!